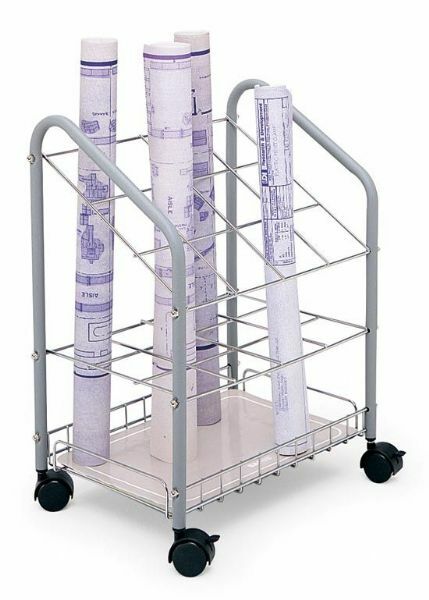 Tubular Steel Wire Blueprint Roll File Organizer - Economical, lightweight tubular steel frame with chrome plated grids, rolls easily to point-of-use on twin wheel casters (two lock). Square design provides easy access and removal of materials. Light gray finish. Assembly required. Shipping Weight: 9.000 lbs. Shipping Dimensions: 18.25 X 14.25 X 23.38 inches.